Amazon might not be the first place you go to for fashion. Books, beauty and moving boxes, sure, but chic pieces for your wardrobe? Perhaps not. Well, prepare to have your mind totally changed thanks to the latest offering from Amazon in the form of its own in-house label, Find. 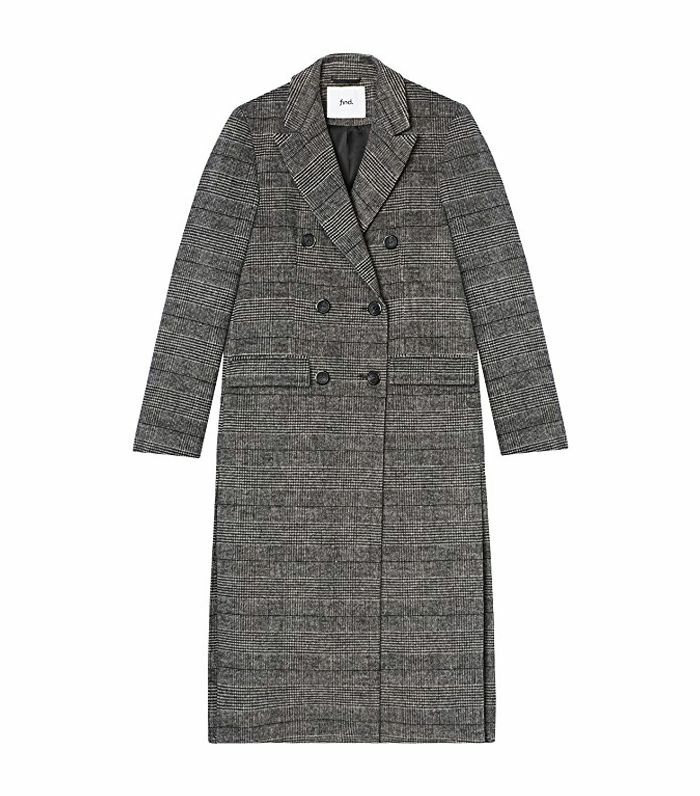 If you're skeptical, then know this: I've been wearing the label's double-breasted checked coat since November, and I can tell you that it's received many compliments from my friends and people in the fashion industry. So what makes this coat particularly special? I'm 5'3'', and it reaches my ankles, which is great if you're also a little shorter and can only find long coats that drag on the ground. Other benefits include its side slits, which gives it a more flattering fit (i.e., it doesn't hug the bum too much), it's double-breasted so it looks smarter, and it's incredibly soft. Oh, and did I mention that it's only £50? To shop the coat, keep scrolling, and then shop other key pieces that are perfect for your spring/summer 2018 wardrobe. As a size 10, I've taken a 12, and it still looks great oversize. Such a great dress to wear over jeans and then wear for summer weddings. These definitely look way more expensive than 20 quid. Well, you know how we feel about leopard print. Our Amazon insider tells us that this piece is sell fast—so get in quick. You can never have too many graphic T-shirts.